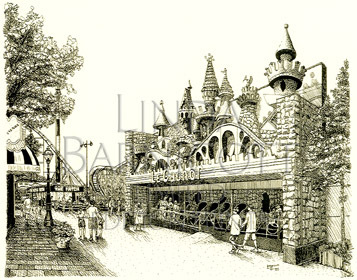 View cart ““Kennywood’s King of Coasters” Bookmark” has been added to your cart. 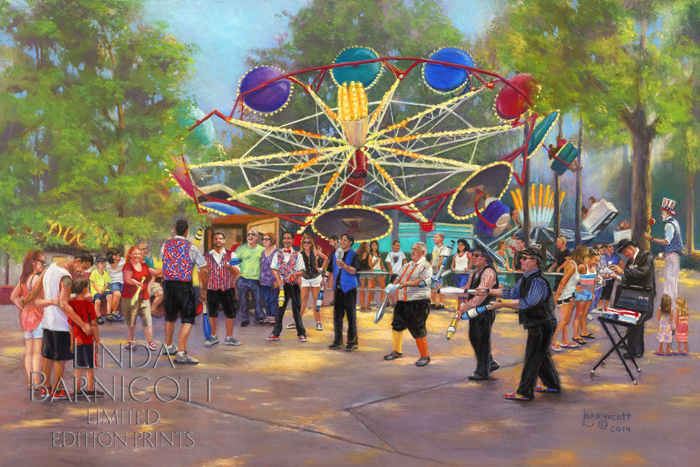 Linda’s painting “Show Time by Kennywood’s Paratrooper” captures one of Kennywood’s long-running traditions and most exciting amusement park rides. It’s a very small edition, so don’t miss out!! 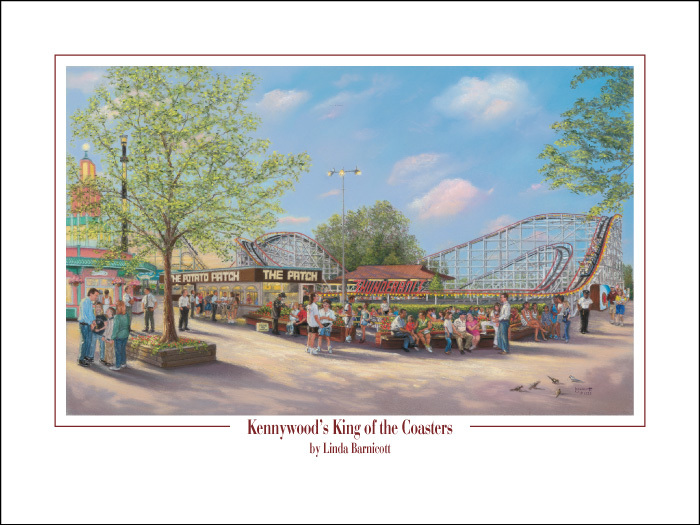 Fourth in “The Wonder of Kennywood” series, Linda’s limited edition print, “Celebrating Kennywood’s Fall Fantasy”, is now available for sale. 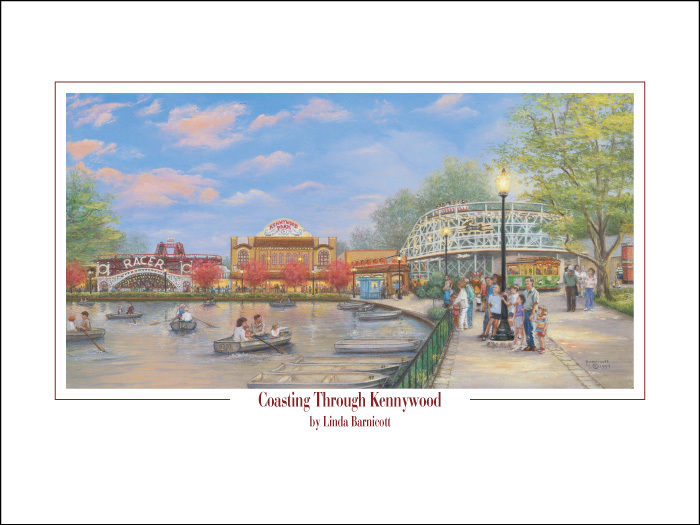 Be the first to own this exquisite composition commemorating one of Kennywood’s longest traditions. 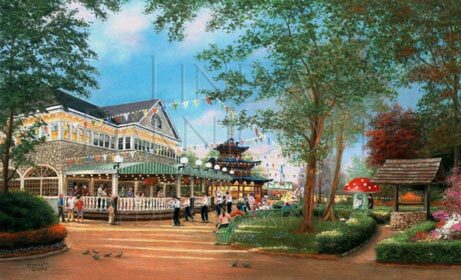 Come and relive the joys of childhood with “Golden Memories at Kennywood’s Kiddieland”. 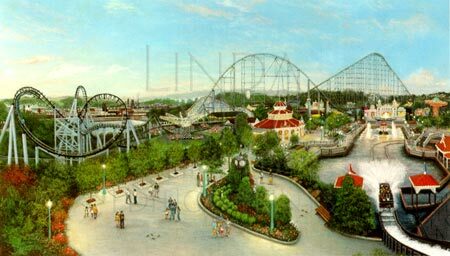 This breathtaking composition, “Phantom of Lost Kennywood”, which is the second release in the “Wonder of Kennywood” series, depicts the original Steel Phantom as viewed from the top of the Pittsburgh Plunge. Released Summer of 2002! 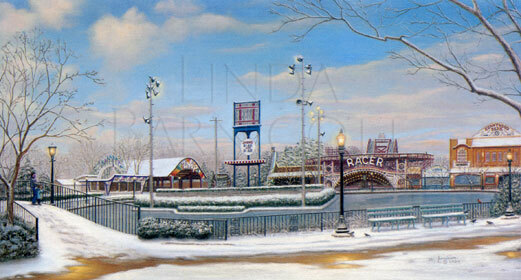 “Riding Kennywood’s Auto Race and Train”, third in Linda’s “The Wonder of Kennywood” series. 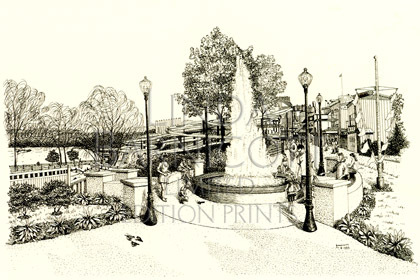 This festive composition beautifully depicts the attractions in one of the park’s most beloved areas. 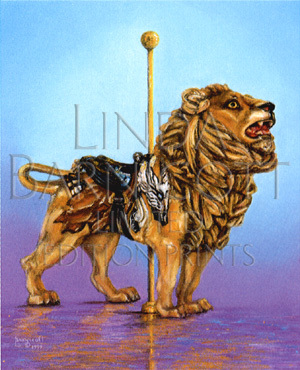 “Kennywood’s Tiger”, “Kennywood’s Lion”, “The Spirit Pegasus”, and “Kennywood’s Black Knight” complete Linda’s dynamic collector’s edition of limited-edition lithographs, “Kennywood’s Parade of Carousel Horses”. 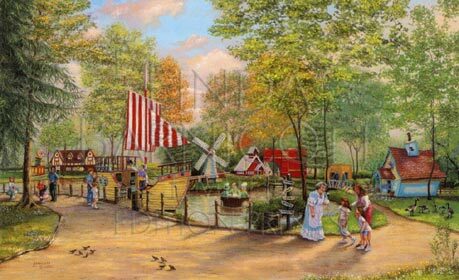 These four favorites from the historic Kennywood carousel were vividly painted in pastels with the carousel horse collector in mind and are already in great demand. 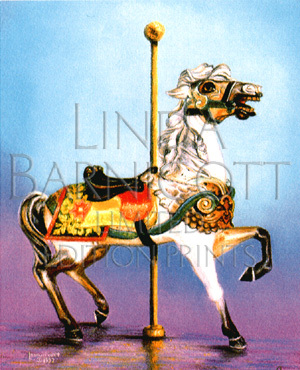 Order all four lithographs in “Kennywood’s Parade of Carousel Horses” and you will receive the same limited-edition number of each plus a free gift of four matching greeting cards. 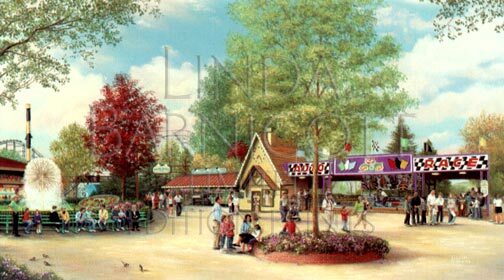 Linda’s second poster is a reproduction of one of her most nostalgic paintings, “Coasting Through Kennywood.” It makes a great companion to Linda’s other posters. Order all four today! 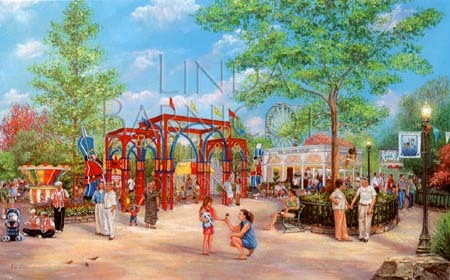 Linda’s Newest Poster, “Kennywood’s King of the Coasters”, captures the park’s famous Thunderbolt coaster and is designed to go well with Linda’s other posters. Purchase yours today!. 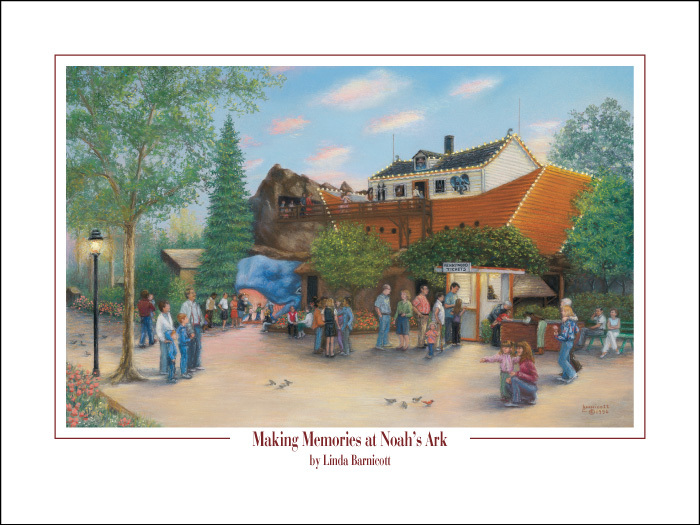 Linda is very pleased to announce the release of her first poster, “Making Memories at Noah’s Ark.” This stately composition of Kennywood Park’s oldest ride, is a smaller, more affordable version of Linda’s sold out limited edition print by the same name. 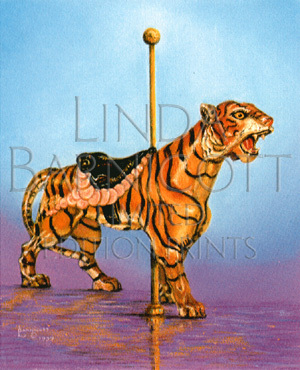 Linda Barnicott, captured warm smiles and childhood giggles in her landmark painting. 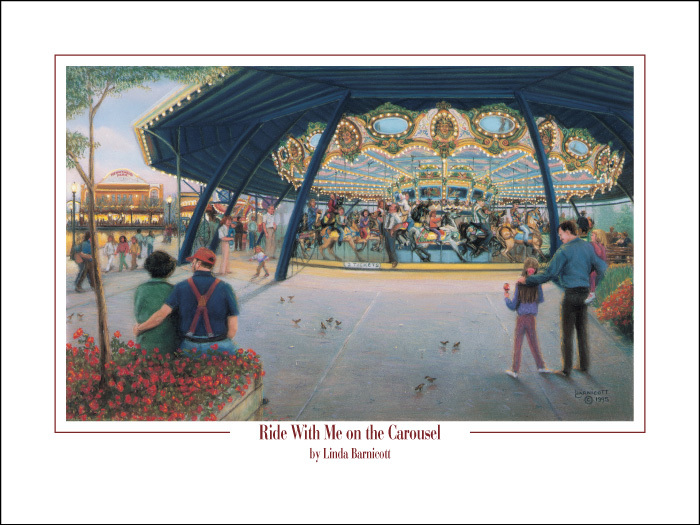 “Ride With Me on the Carousel”, now available as a poster. 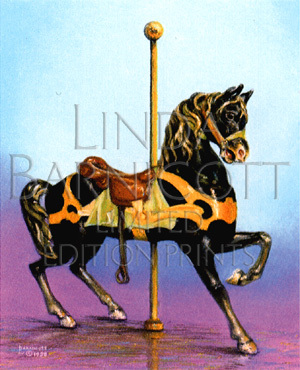 Order it today along with Linda’s other posters and own all four. 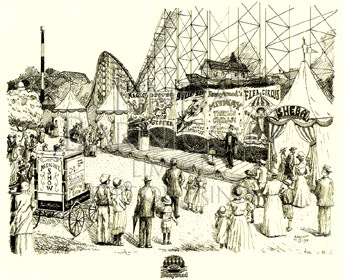 Linda joins the Trustees of Conneaut Lake Park in their campaign to get the Blue Streak coaster back on track by donating 15% of her profits to the resoration of the historic wooden coaster. 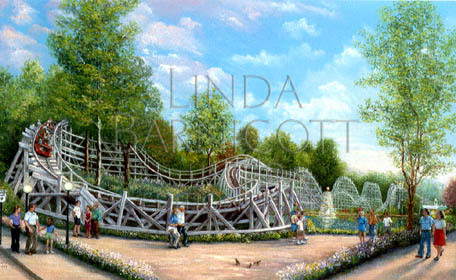 One of Linda’s nostalgic print, “Doing the Dips at West View Park”. 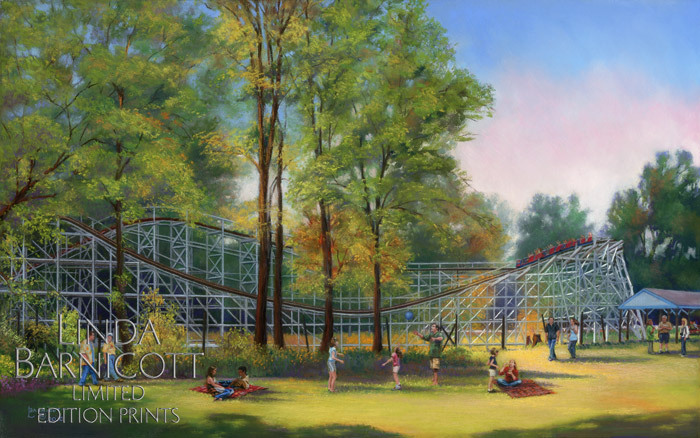 Linda features Idlewild Park in her award winning print, “Once Upon a Time in Story Book Forest”. 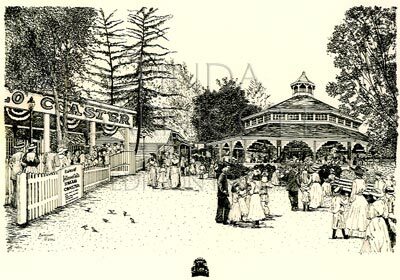 Linda was commissioned, by the park, to create “125 Years of Idlewild Fun”, a charming pen and ink rendering that takes a nostalgic look at Idlewild Park at the turn of the century. 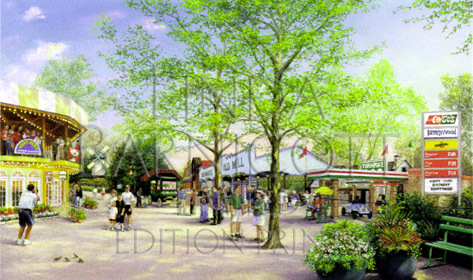 It will be used in the park’s publicity ads as they celebrate their special anniversary during the summer of 2002.